The Madison Greenhouse Store is proud to feature local artists' work in our shop. We have locally crafted ceramics, glass, paintings and prints. Crafted just a couple blocks away from the shop, his wheel thrown planters are both beautiful and functional. 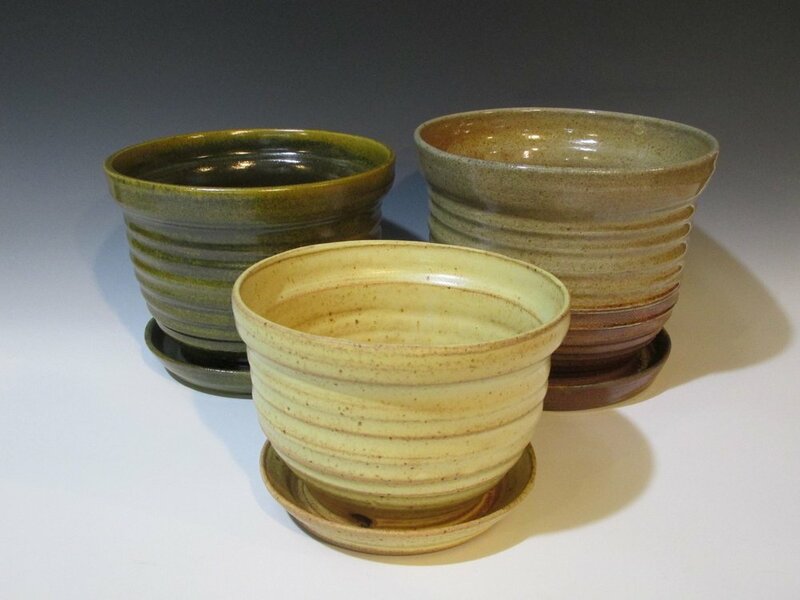 Each glaze used is mixed in his home studio and the resulting variations that appear in the firing process make every planter a unique work of art. The attached saucers and ample drainage holes ensure that your plants will be happy in their homes for a long time. Beautiful glass ornaments, pendants, icicles, mushrooms, cacti and even hot air balloons emerge from Josh's creativity in his Madison glass blowing studio. Bright, colorful and one of a kind, his artwork is a great option for locally made gift giving. The elegant forms of his glass creations belie the surprisingly sturdy nature of his glass artwork. Silly and playful, Arielle's hand built ceramic creations are sure to bring joy to the viewer. Whimsical creature planters, wood grained airplant wall sconces, mushrooms and geometric planters are created by Arielle here in Madison. Full of personality, her artwork is a fun and charming addition to any home.